This past Christmas as a gift I received a Tactical Solutions Vantage 10/22 Stock in Crimson Red. While a little unexpected and unplanned for I was pleasantly surprised by this beautiful and thoughtful gift. The timing was perfect. I had been in the process of gathering parts for another 10/22 project for this site but I was not very far along in the process and the new stock allowed me to fast-track another brand new project. You see back in the fall, early September if I recall correctly I happened on to a website from a company called Kidd Innovative Design. My initial impression of the website was that Kidd Innovative Design offered premium 10/22 part’s that could be used to assemble possibly the finest 10/22’s. To say I was interested is an understatement. 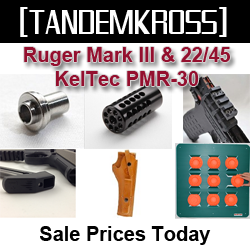 I then set out to research Kidd Innovative Design’s products on the various rimfire forums. By all reports there were no finer 10/22 parts. That was all I needed the bug was planted. 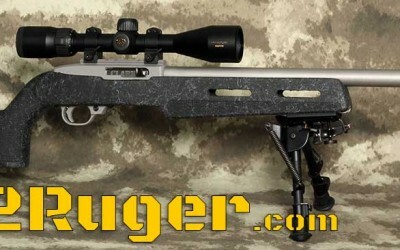 The Clark Custom Guns Ruger 10/22 project “Tack driver” page has been completed. Click here to view it. It took a while for the Nikon scope to become available but now I have it and this project is complete. 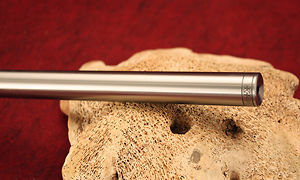 I will update the Clark Custom Guns Ruger 10/22 project page very soon. Click the picture above to view the image full size.